LastFM also includes what you could rec them that they've already heard. I know I do quick searches to see if people have already listened to my rec. Negates redundancy. Also, I like to look at lastFMs and make friends. By the way, i do have a last fm account now. Let the recommendations fly! If anyone wants to recommend to me on LastFM or here I'm all ears. I don't know if you have heard these guys but you should. I think you may end up liking them. I caught wind of these guys in '05 I believe. 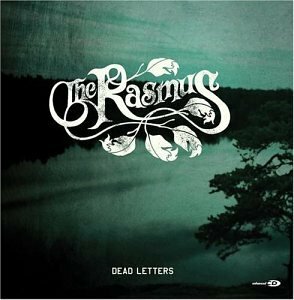 The Rasmus is a Finnish rock band that formed in 1994 in Helsinki while the band members were still in upper comprehensive school. The original band members were Lauri Ylönen (lead singer/songwriter), Eero Heinonen (bass), Pauli Rantasalmi (guitar) and Janne Heiskanen (drums). Heiskanen quit the band in 1998 and was soon replaced by Aki Hakala. They gained international fame with their 2003 album Dead Letters which went gold and platinum in several countries, accompanied with the single "In the Shadows" which reached number 1 in a number of countries. Two decades after blowing up with Cypress Hill, B-Real is still going strong. On The Harvest, Vol. 1, the veteran MC shares the microphone with an extended crew of up-and-coming artists. Though they are pretty much complete unknowns, most of them impress with razor sharp flows and concise, streetwise lyricism. Three of them hail from Cali, but the majority represent distant locales from all around the globe, including Japan, Spain, Pakistan, Australia, France, Italy, Brazil, and the Netherlands. Production comes from the Audio Hustlaz, who cook up some truly nasty beats, full of nicely chopped samples and perpetually rugged drums. 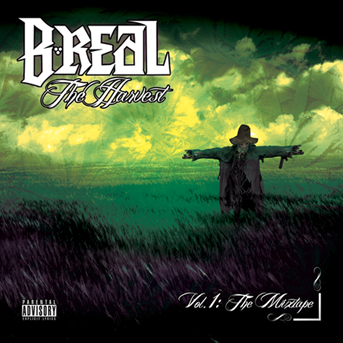 B-Real's trademark nasal steez still sounds great, and the young rappers all come correct. Highlights include "Ride Out" with Sikadime, "Streets Wanna Know" featuring Yama, and "We On It" starring the Lost Angels Crew. It's a rock solid mix from a true legend, and an excellent forum for twenty game-spitters on the come up. Again, Thanks to everyone keeping this thread alive. Glad its still going strong. Could anybody recommend me something based on my Last.fm? ^Have you listened to Don Caballero I sent you? ...damn it. I've been busy lately, so I completely forgot about it. I'll listen to it later today.